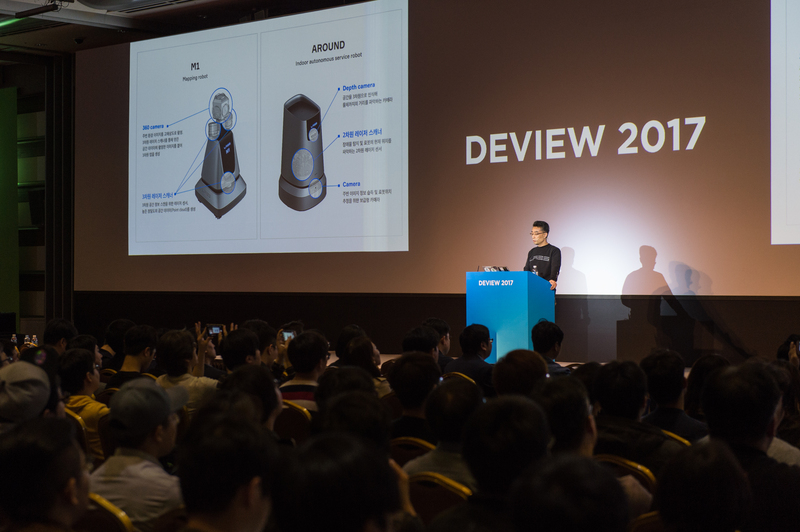 At this year’s DEVIEW, a whole range of new ambient intelligence products and technologies were revealed in the NAVER LABS keynote. Ambient intelligence technology detects and understands humans and their contexts to naturally provide information or perform actions at the time of need. During his keynote, Changhyun Song, CEO of NAVER LABS and NAVER CTO, emphasized the motivation behind the ambient intelligence research he leads. “In this world where tools and information are overflowing, technology needs to understand humans and environments even better. The real value of technology will only be realized when it has become part of the fabric of everyday life”. All of the research results shared during the keynote contribute to the NAVER LABS’ vision of ambient intelligence and we will continue to focus on technology, products and services that directly impact people. NAVER LABS envisions a future where people and society are not restricted by tools and technology. It is a world where people can focus on the things they value most in life and where ambient intelligence helps them do so.